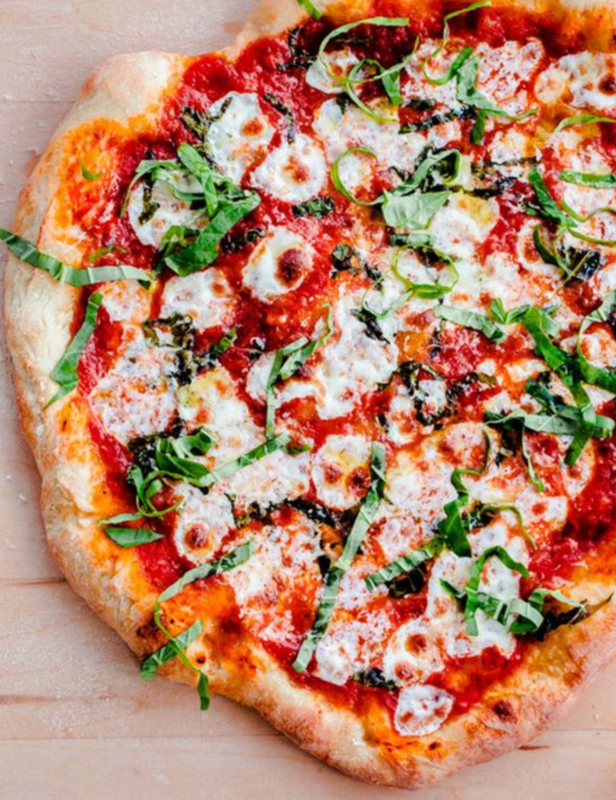 To us, every day should be National Pizza Party Day, but technically, it’s only once a year. This being said, we’re gathering up all the goods to have the greatest pizza party ever this weekend. 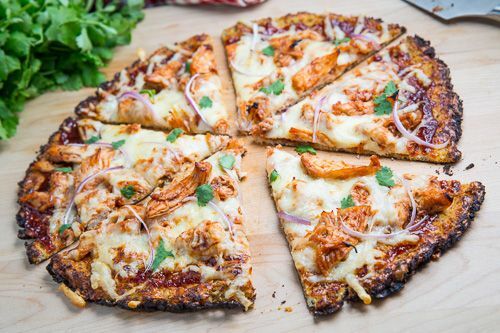 For a more unique and organic approach to your own pizza party, creating your own pizza pies is the way to go. First things first, the decor! If you’re looking to step up your party, going with themed decor is the way to do so. 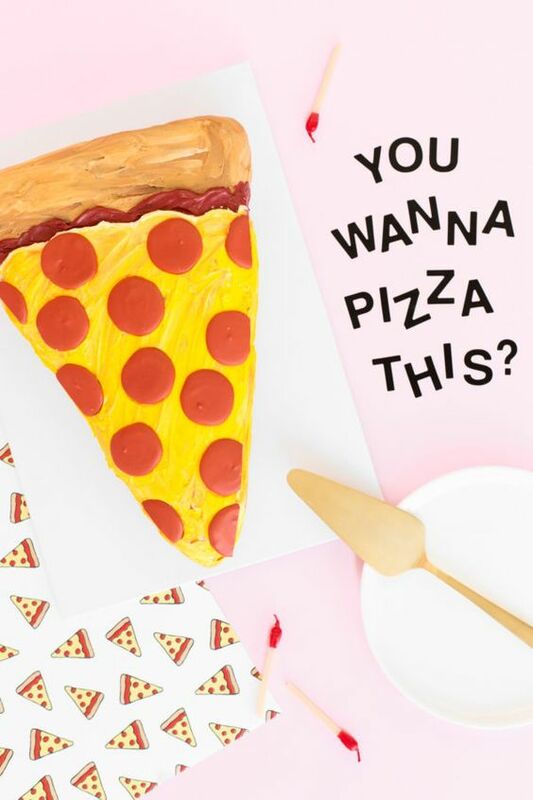 Whether it’s a pizza banner, themed plates and cups, or a pizza pinata…sticking with a theme helps you stay on track and focus on all of the little details. 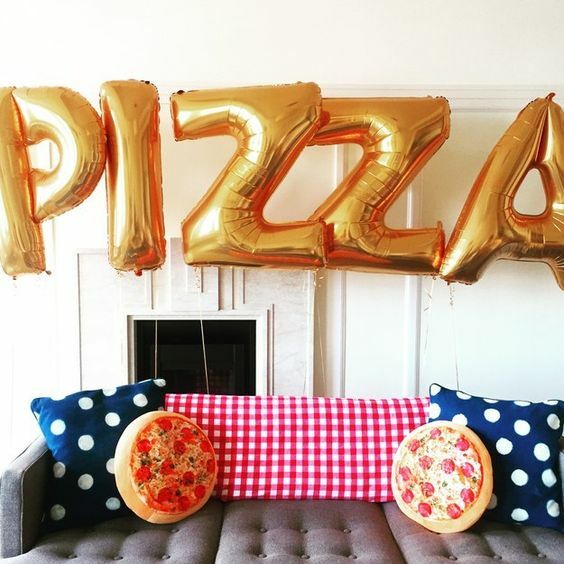 These trendy pizza shaped balloons are a hit in any home. They brighten up a room and are perfect for a photo op…let’s be real. 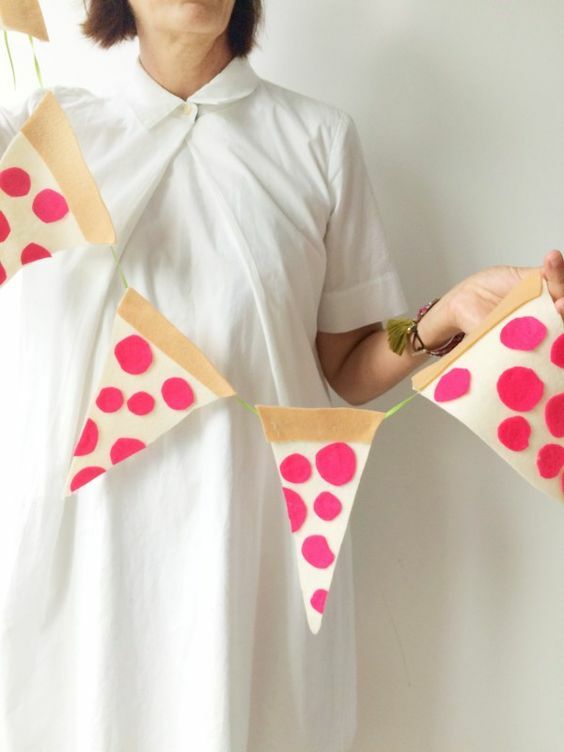 DIY your own pizza banner (see below) for a more organic and crafty feel to your party. 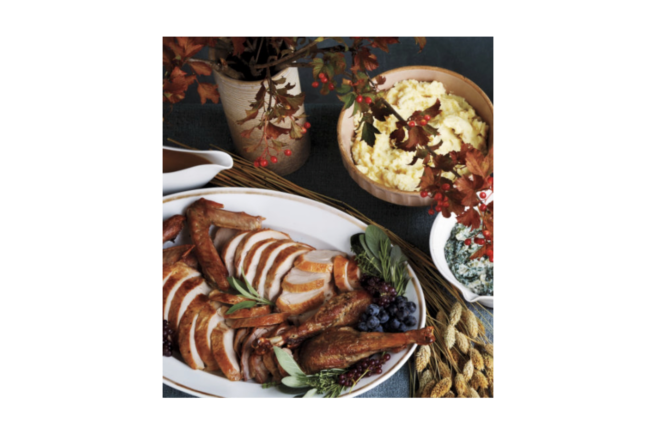 Super simple to make, it’s an instant crowd-pleaser that amps up your celebration. But…most importantly, the pizza! 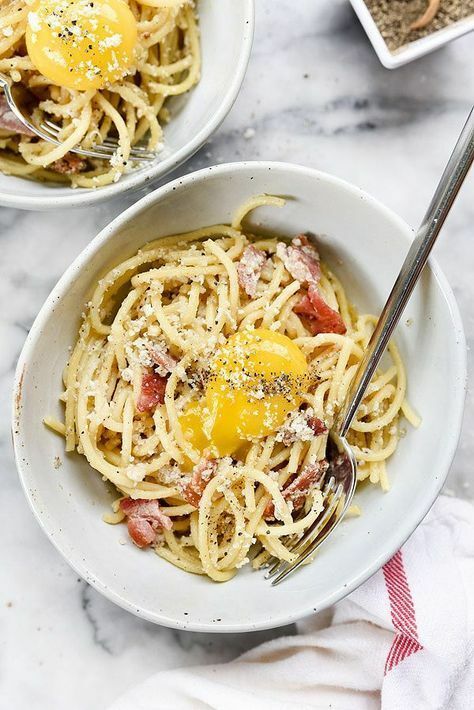 Get creative with your pizza toppings and have a variety of cheeses, meats and veggies to pile on the flavor! This is super fun and easy to do in a time crunch since so many things you already have stocked are perfect for pizza. 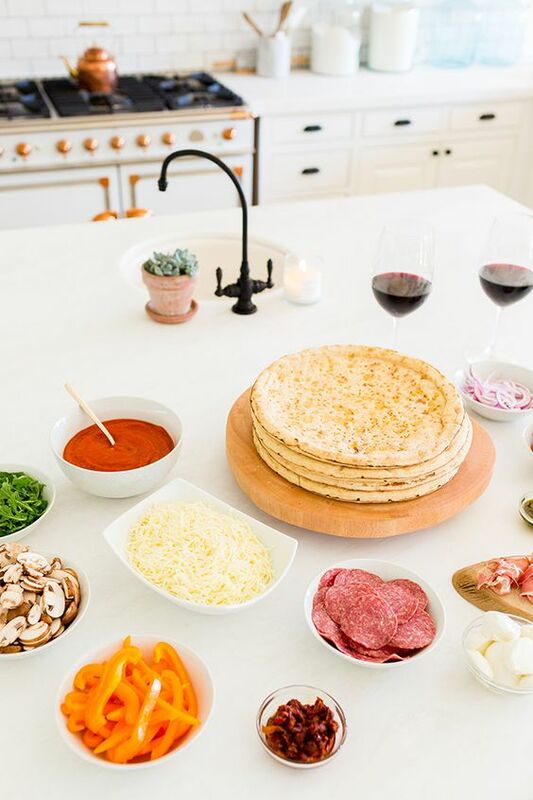 Create a space where family and friends can enjoy making their own pizza pies! 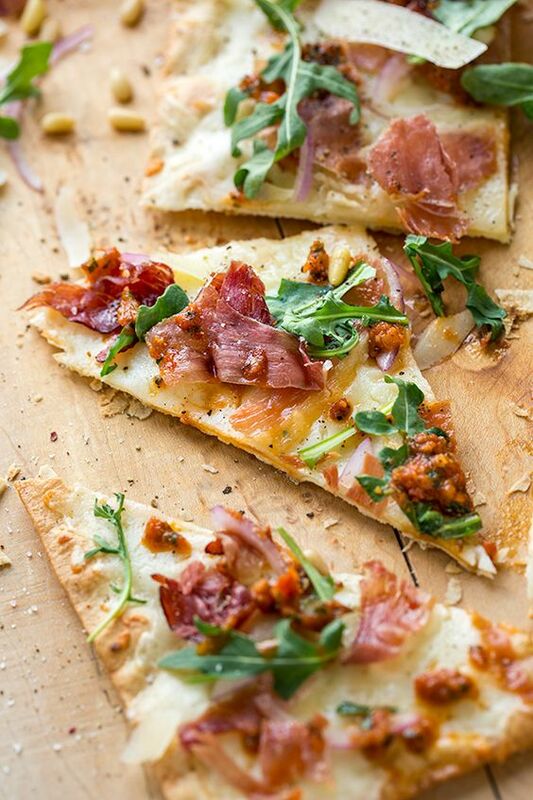 Set out toppings and flat bread perfect for making it your own. This is easy and mess free for kids and a fun activity for little ones to stay occupied while the adults enjoy a glass of wine. Cook your pizza pies as they are ready to go. Keep them on rotation in your oven, and in no time everyone will enjoy their own personal pizza made by them! Pair with a glass of wine, and what better way to end your own pizza party!